A sad day indeed. My favourite pet – Buffy passed away this weekend -Friday 8 February 2013. She had been bravely coping with Bumblefoot and the traumatic operation on both feet in December. It took its toll on her and she developed breathing problems and finally stopped eating. Her life with us was a full 6 years and she was the Queen of the Roost! She always made sure she had the best spot and was the first to inspect new quarters and give it the OK. She was the best egg sitter and there were times when she had a hidden stash of eggs she was sitting on. 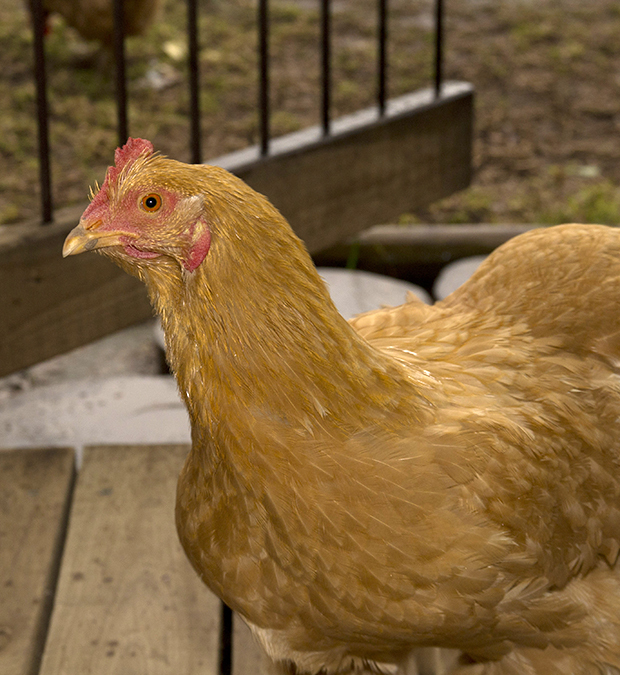 Buffy was one of the original chickens we started with in 2006 and was the best swimmer! She also made a huge fuss to alert me when one of the naughty ones (usually Skollie!) 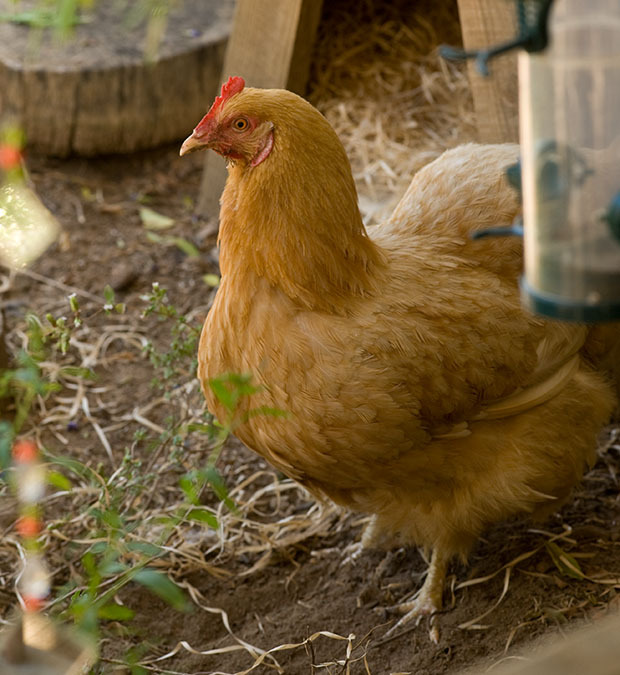 escaped the chicken run – not wanting anyone to have a better adventure than her! Oh, I will miss her. Bye-bye Buffy! Fully grown in 2007 but she couldn’t fly – she had crooked wings. The reason her name was Buffy – short for Spicy Buffalo Wings. She was a really good swimmer – enjoyed the pool in the heat of summer! Buffy – ever the opportunist – she was always there hoping for a handful of sunflower seeds! Buffy?? What are you hidding? A last goodbye – we will miss you! She was a great pal! Buffy was also was attacked. In the jaws of a mongoose and survived – so I can feel for your plymouth rock. I wonder how old chickens get? 6 years is a good age! 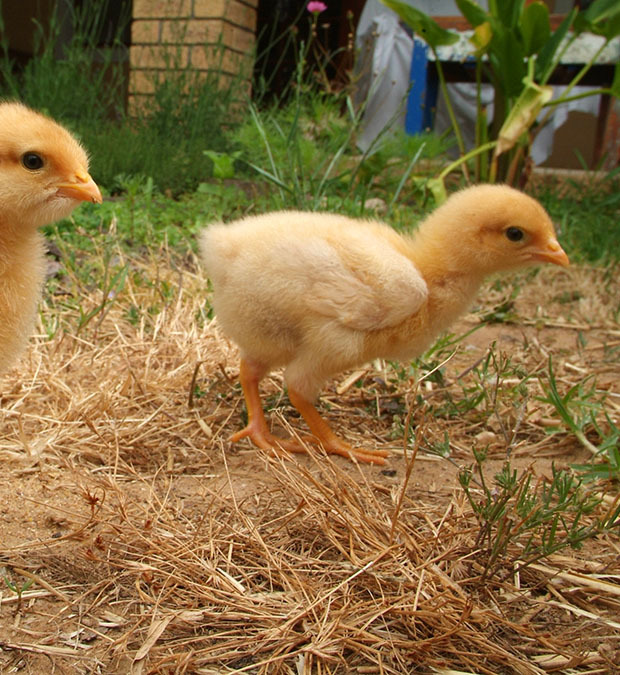 I love my chickens. So, so sad to read this. She was a beautiful chicken. 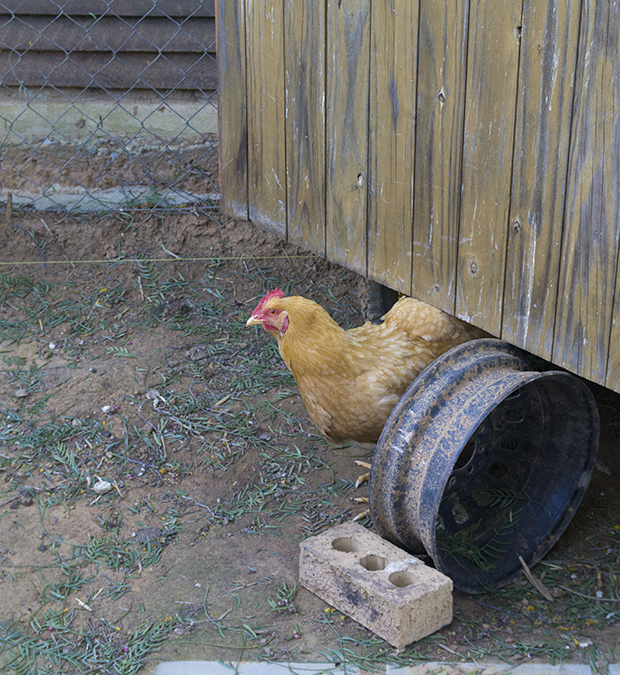 Thank you Donna – the new Hen House is so empty without her. I am keen to fill it with new chickens. I just need to find the right ones! It is absolutely horrible to lose a pet. I am so sorry. From your wonderful photos, it is obvious that Buffy had a great life. I love the photo of her swimming. Thank you for your kind words. She was a tough girl – even survived the teeth of a wild weasel (muishond). The swimming was my hubby’s idea and they float in the pool with him. I really am sorry. Six years is a long time to have a pet, and it’s terrible when their life ends. Your photos show her life was happy. I love the one of her swimming. She was a true character – I miss her antics and the way she knocked on the back door to come in! What a great chicken she was! Oh Barbie, I’m so very sorry I know some people don’t understand how some of us can get so attached to our flocks, but over the years, each and every hen (or rooster) we’ve had has had their own special and unique personality. The truly special ones, like our hen ‘Roo’, really stand out from the flock, and It’s so difficult to see them go. She had a wonderful life, and she’s taught me something new, even in her absence. 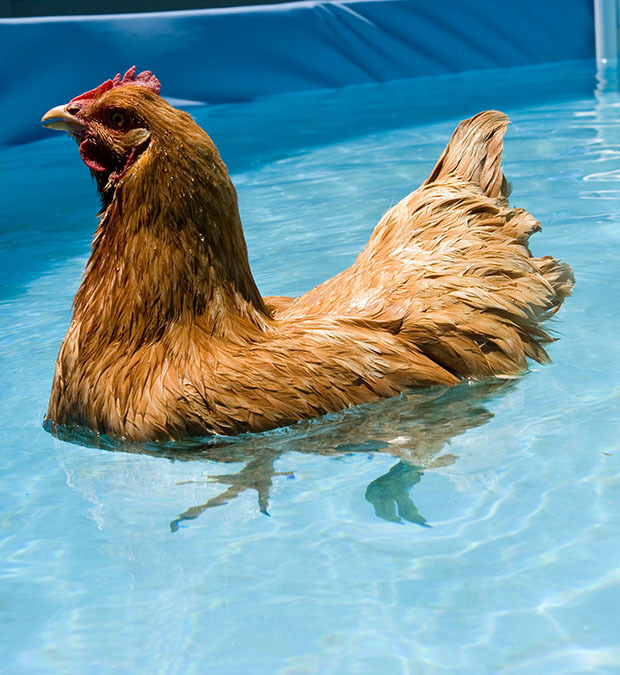 I had no idea that chickens like to swim! Maybe I should try getting a wading pool for our girls this summer!? Farewell sweet Buffy. That is so sweet of you!! I know the attachment is great and she was one of the original chickens so she was a good age (going on 7 years)- how old do chickens get?? 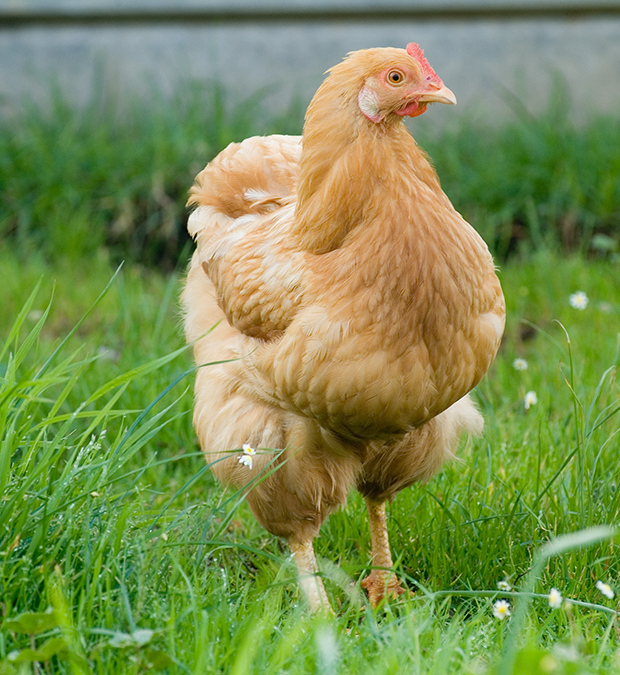 I love the sweet nature of the Buff Orpington. Barbara, I’m sorry for the loss of your beloved Buffy. She sounds like quite a character! Thanks for sharing the photos and memories. Thank you – she was pretty special. Gonna be tough replacing her. Barbie I am so sorry to hear about Buffy’s passing…she had quite the personality…a beautiful pet…a part of goes with them. I hope you find peace in your memories. Thank you Donna – it is hard, but time is a great healer. I will miss her. 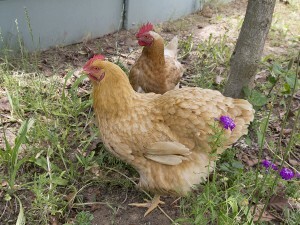 She was such a soft natured bird – a true Buff Orpington. I believe they are called the “lap-dog” of chickens. I have tears in my eyes reading this – so lovely my friend, a special tribute to a special pet. 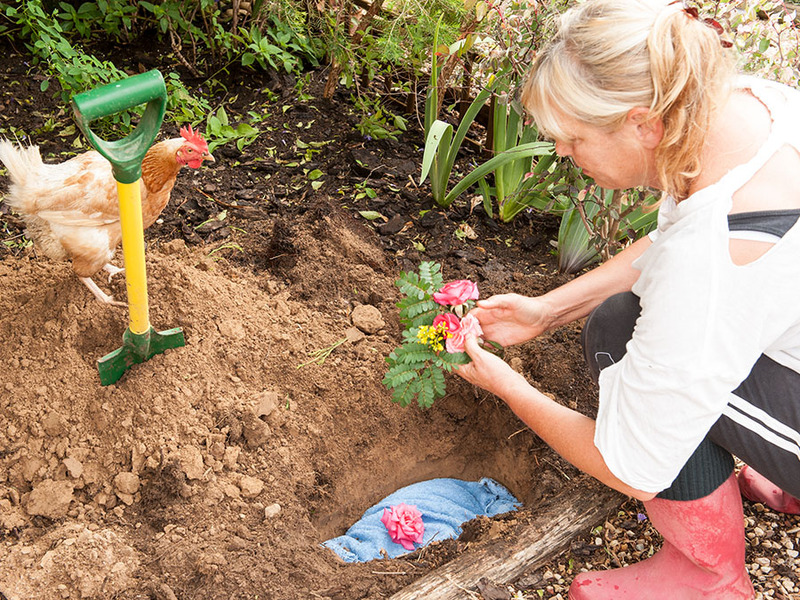 Thank you Marilyn – a garden buddy of note! Oh thank you – you are so right – they feel like our children. Aww, what a sweet tribute to Buffy! I know it’s hard to say goodbye to creatures who’ve been a part of our lives for many years. Beautiful post. She was special! What a character she was! Will miss her! always so sad to lose a well-loved pet. A piece of our life goes missing. You are so right! There is a hole in my heart! So sorry Barbara! Lots of great memories though. Thank you Alan – you have come to know Buffy and her antics! I will miss her! Oh, Barbie! I am so sorry! What a beautiful post. I know she was special to you, and I can hear the love in your words. It’s always hard to lose a friend – and our pets are indeed our friends. Thank you Holley! So true!